Should prices rise or fall every year? The good news is that the U.S. inflation rate has fallen to 7.2%, down from a high of 14.4% five years ago. 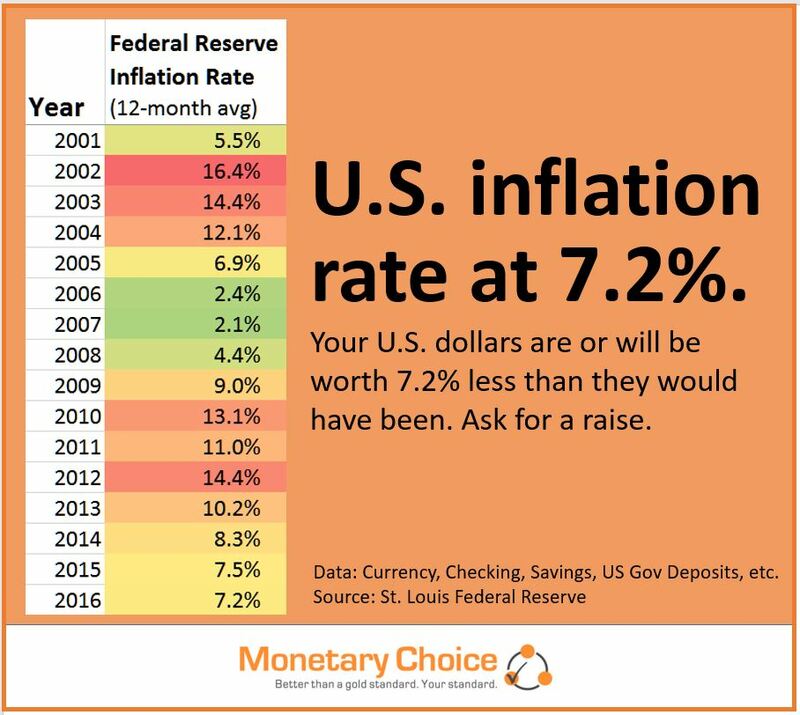 The bad news is that there still is inflation – meaning the Federal Reserve banks continue to create dollars and lend them out to governments, businesses, and so-called homeowners (people who rent money to buy homes). Inflation is when banks create dollars. Updated inflation charts. Inflation at 7.3%. How much does 10 dollars cost? Answer. Copyright © 2019 Monetary Choice. Powered by WordPress. Theme: Accelerate by ThemeGrill.